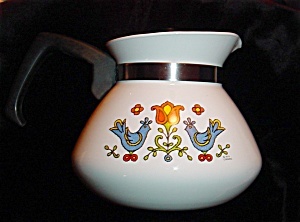 This is a Corning Ware 6 Cup Teapot. This is the Friendship Pattern.It is in good condition. No chips,nicks or stains.